Whether it’s helping you get to sleep, stay asleep or get a better night’s sleep, Reiki is definitely worth trying. 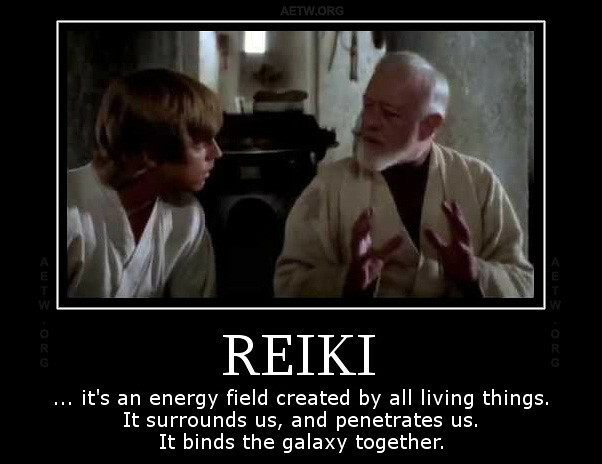 Reiki (pronounced Ray-kee) is Japanese for Universal Life Force Energy or Spiritually Guided Energy. Reiki works off of the principle that energy is running through everyone and everything at all times. This energy is what binds all living things together, like a network. Reiki is an ancient form of healing which uses both laying on of hands and floating hands techniques, through which the life force energy flows. Reiki balances the subtle energies within us which allows the body to heal. Think of a Reiki Master or practitioner as a conduit for this energy, like a straw, if you will. The energy flows from the Universe through them to the recipient. It does not originate in the practitioners themselves. 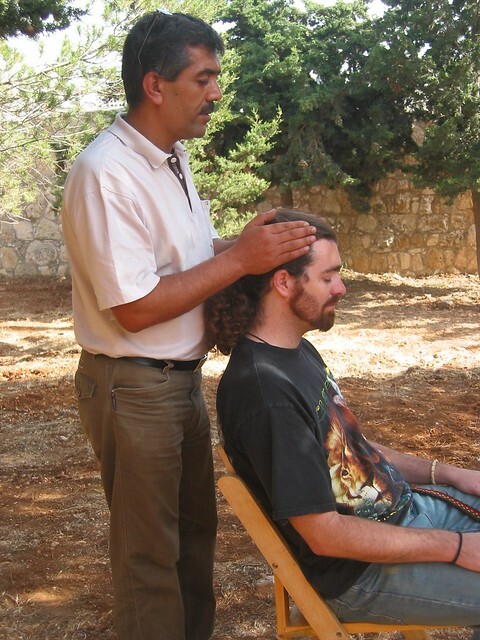 Reiki is widely known for its wondrous effects, not only on recipients, but also on practitioners. Reiki is great for numerous concerns, such as pregnancy, premature birth, miscarriage, infertility, menopause, obesity, eating disorders, grief, stress, depression, shingles, IBS, burns, arthritis, Alzheimer’s, Parkinson’s, seizures, stroke, heart disease, cancer, diabetes, addiction, headaches, sprains, back pain, anger, anxiety, PTSD, auto accident injuries, post-operative recovery and almost anything else you can think of. Reiki is particularly beneficial in addressing insomnia. The healing energy of Reiki is reported to have a soothing and calming effect for insomnia sufferers. Reiki is divided into three levels of practitioners: I, II and Reiki Master. Reiki sessions can last anywhere from a few minutes up to an hour and can even be done remotely. The Reiki principles that energy is always in constant flow and binding all living things together allows for successful distance sessions. This means that the Reiki practitioner does not have to be in the same location as the person receiving Reiki. Self-care with Reiki is wonderful as you could practice Reiki anytime you wish. There are several benefits to this. Sleepless nights are a great place to start. Subtle energies flow to exactly where they are needed, in the quantity, frequency and format that are required. Both the Reiki treatment sessions and practitioner trainings are referred to as “attunements.” This process is similar to tuning in a radio station on an old fashioned radio dial. There is a process in which the Reiki Master attunes or aligns you to this energy. This process is combined with a short course or class so that you can learn how to tap into this energy. Practicing self Reiki in the evenings before going to sleep is a wonderful way to end the day and promote a more restful night’s sleep. Many people report feeling a sensation similar to a warm blanket when receiving or practicing self Reiki just prior to going to sleep. Reiki is so effective that according to Veterans Today, in 2009 the United States Army implemented a four million dollar program to study the efficacy of alternative therapies for veterans suffering from PTSD and insomnia. Reiki was included in that study. Just fot today I will be grateful for all my blessings. Just for today I will be kind to all living beings. These are good principles to live by even if you are not familiar with Reiki. 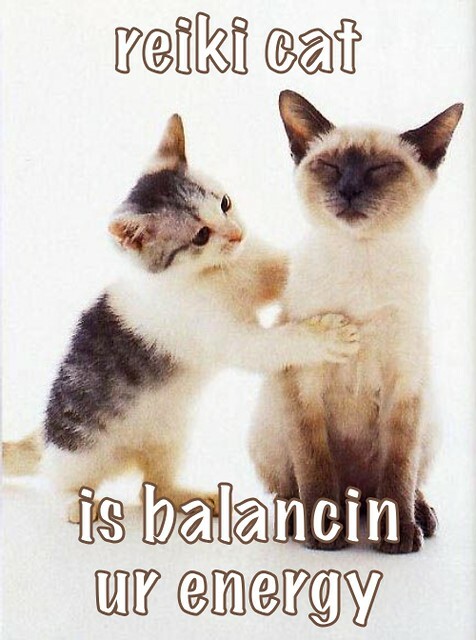 For more information on Reiki treatments and trainings, contact Jan Floyd HWP, RM, CHt. Jan Floyd HWP, RM, CHt is a Holistic Wellness Practitioner, Reiki Master and Certified Clinical Hypnotherapist based in the Baton Rouge, LA area. She is a Southwest Institute of Healing Arts (SWIHA) alumna with certificates of excellence in Holistic Nutrition, Transpersonal Hypnotherapy and Life Coaching. Additional areas of concentration include Homeopathy, Aromatherapy, and Flower Essences. Jan is available for private and group consultations, trainings, demonstrations, booths, speaking engagements, guest posts, interviews and networking opportunities. Categories: Guest Posts, Reiki | Tags: alternative health, alternative medicine, Baton Rouge, insomnia, Jan Floyd, Louisiana, natural health, Reiki, Reiki training, sleep, sleep disorders, sleep problems | Permalink. Chronic pain sufferers have many options today when it comes to managing their pain. Clinical Hypnotherapy is quickly gaining ground as an effective way to manage chronic pain. Pain that lasts for more than three months is considered chronic. This pain can stem from a plethora of reasons such as cancer, back pain, fibromyalgia, injury, and so forth. Clinical Hypnotherapy is becoming more and more popular as people seek out alternative modalities that work. Simply speaking, Clinical Hypnotherapy is a shift in consciousness that can facilitate healing on a physical level, a mental level and even a spiritual level. Hypnosis allows the client to remain in total control while in this relaxed state, because the subconscious is in alignment with their values, morals and judgment. In 1996 a panel at the National Institutes of Health found medical or clinical hypnosis to be effective at relieving cancer pain. More recently the California Pacific Medical Research Institute has revealed evidence that Clinical Hypnotherapy is indeed beneficial for pain management. Additionally, its use prior to surgery can significantly reduce postoperative pain and shorten the recovery time. Brain scans of patients in a hypnotic state have shown a significant reduction of activity in the part of the brain responsible for the experience of pain. This means that even though your brain knows the pain exists, it doesn’t have to relay that message to your body. Hypnotherapy does not treat the underlying cause of the pain. However, it can be extremely helpful in managing and reducing pain. Make sure that you choose a professional hypnotherapist who has experience working with chronic pain. Hypnotherapists often have areas of specialty just as a medical doctor would. After having your initial hypnotherapy session, you will want to schedule followup sessions as needed to measure and maintain your success. Good hypnotherapists will teach you complimentary tools and protocols that you can implement at home to help mitigate the pain if needed. These tools may include things such as aromatherapy, meditation, visualization or any number of complementary modalities tailored to your particular needs. Although it’s true there are a few people who cannot be hypnotized, it is possible to overcome with a skilled professional. Should you fall into this category, don’t get discouraged. There are additional techniques, such as meditation, guided visualizations and other modalities, which can help reduce pain and increase your chances of success with hypnotherapy later on. Jan Floyd HWP, RM, CHt is a Holistic Wellness Practitioner, Reiki Master and Certified Clinical Hypnotherapist based in the Baton Rouge, LA area. She is a Southwest Institute of Healing Arts (SWIHA) alumna with certificates of excellence in Holistic Nutrition, Transpersonal Hypnotherapy and Life Coaching. Additional areas of concentration include Homeopathy, Aromatherapy, and Flower Essences. Jan is available for private consultations, guest posts, interviews and networking opportunities. Categories: Guest Posts, Hypnotherapy | Tags: back pain, Baton Rouge, cancer pain, chronic pain, hypnotherapy, hypnotherapy Baton Rouge, hypnotherapy Louisiana, Jan Floyd, Louisiana, natural health, Omnia Lumen, pain management | Permalink. Which benefits of meditation do you need right now – peace of mind, a calm heart, easier breathing, less pain, a fresh perspective or renewed control of fragile emotions? Just a coffee break’s worth of breathing can lighten your load and reverse the physical, mental, emotional and spiritual effects of stress. Come with me now and let’s explore this together. 100% reported rest, relaxation or stress relief as a result of meditation. 40% said they meditate for focus and clarity. Now let’s dig a little deeper and explore their individual experiences. Boston-based author LJ Cohen and artist Jennifer Lynn Mattka both utilize meditation beforehand to enhance their creativity. What benefits of meditation do I seek and receive? For starters, the rest, relaxation and stress relief, quiet mind, focus and clarity all happen for me. I’ve done many forms of meditation for anxiety, sleep, pain and past life research. I’ve also used it to significantly lower my blood pressure before physical exams. But shhh – don’t tell my doctor! The astral travel bit I kinda stumbled into. I’ve also meditated to find out what happened to lost pets and help distant friends with their health. One night in Hot Springs, AR, after a Full Moon Drumming (and dancing) double session atop the Golden Leaves Bookstore, it felt like I floated to the car and my entire being buzzed for hours. What benefits of meditation have you experienced? Belinda Y. Hughes is a lifestyle coach and freelance writer. She is a Certified Yoga Teacher (CYT) and retired Licensed Massage Therapist (LMT). Her vegetarian cookbook, Confessions of a Red Hot Veggie Lover 2, has made the Amazon Top 100 a few times. 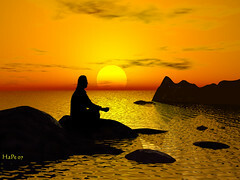 Categories: Meditation | Tags: anxiety, anxiety meditation, benefits of meditation, Meditation, meditation benefits, meditation for anxiety, meditation for sleep, natural health, past lives, sleep, sleep meditation, yoga | Permalink. What is meditation? Is it a few minutes of peace, a path to wisdom or a free thing anyone can do for natural health? Let’s find out. The meditation definition given by the Learner’s Dictionary is “the act or process of spending time in quiet thought.” That fits with the popular image of a Buddhist or yoga teacher sitting on the floor, legs folded, fingers touching, eyes closed or gazing at a candle. But is that all there is to it? I decided to reflect on all I’ve seen, heard and done on the subject and ask ten friends their meaning of meditation. What is meditation? The age-old saying “ask ten different people, get ten different answers” holds true. Each friend’s definition of meditation was unique and personal, but they had some things in common. A full fifty percent said it is clearing the mind. For a third, the meaning of meditation is getting centered and focusing. Both of those answers parallel that classic image. Let’s look at the differences. Paranormal romance author Kerry Adrienne offered her meaning of meditation as “bathing myself in positivity by going through my gratitude list and morphing them into affirmations. 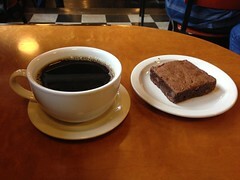 Minnesota lesfic reviewer Ameliah Faith sits peacefully, goes to a happy place in her mind and just tries to feel. What is meditation to me? It’s a free, easy, natural way to take personal responsibility for my physical, mental, emotional and spiritual health, rather than handing control over to doctors and drug companies and expecting them to fix everything. In the language of recovery and air travel, it’s “putting on my oxygen mask first,” so I have something of myself to give when helping others. As a spiritual seeker, it’s an empowering way of tapping into my own wisdom and that of my creator, guardian angels, ancestors and Higher Self when I don’t know the answers or my earthly way isn’t working. As a human being, it’s a way of recharging my batteries when my to-do list is long and I’m ill, injured or feeling fatigued. Just a few minutes alone to be still and breathe, or whatever works for me at that moment, and I’m ready to face the world again. As a New Age adventurer, when my fingertips and soles are touching, I become a flux capacitor, and time and space travel are possible. Pretty exciting stuff! What is meditation to you? I want to know. Answer in the comments below. Categories: Meditation | Tags: definition of meditation, meaning of meditation, Meditation, meditation definition, natural health, what is meditation, yoga | Permalink. 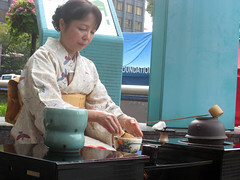 The Japanese tea ceremony is a wonderful way to practice meditation. It’s a great idea for coffee breaks at home or work. This is a quick and easy version for one person I’ve adapted using things you already have on hand: a drink (ideally something bitter, such as tea or coffee, but water’s ok, too) and finger sweets (ex., cookies, fig bars, brownies, Rice Krispies Treats). Take your things to a quiet sitting area. Your quiet sitting area could be a table and chair or a pillow on the floor in your office, home, patio, gazebo, garden or poolside. Whatever works for you to face the cup, focus and relax, free of distraction, which is the ultimate goal of the Japanese tea ceremony and any meditation. Get settled and focus on your breathing. Slowly turn your drink three times clockwise. Lifting from the elbows, bring the drink to your lips and sip slowly. Balance the flavor of your drink by enjoying your sweets. Continue to focus on your breathing while drinking and eating slowly. On the last sip, make a slurping sound to acknowledge the glass or cup is empty. Take this time to admire the beauty of the drink container. Slowly turn your drink container once counterclockwise to conclude that serving. If the situation allows, you may refill your beverage after each counterclockwise turn until you are done with the Japanese tea ceremony. To enhance your meditation and comfort, you can play conducive music during your ceremony. Look into the massage, meditation, nature, Zen and space music genres. There is actually Japanese tea ceremony music, too. While this ceremony is designed for solo practice, if you have a friend who’d appreciate joining you in this celebration of peace, go for it. Enhance this contemplative time by embracing your faith or a positive affirmation. Many, if not all, world religions have ideas and practices which lend themselves well to meditation. This is a golden opportunity to unite with friends of like faith or create your own inter-faith circle, honoring this commonality in your creeds and celebrating the differences as flowers in a garden or coffees and teas. In time, I’ll add more in-depth Japanese and English tea ceremonies, meditations and maybe even some music, recipes and equipage recommendations. Stay tuned and thank you for reading. Categories: Meditation | Tags: coffee breaks, Japanese tea ceremony, Meditation, natural health, stress management | Permalink. Bergamot, also known as Citrus bergamia, is one of the most used essential oils in my aromatherapy collection. While it offers many benefits, it’s my go-to for cleansing, refreshing, invigorating and uplifting body, mind, heart and soul. 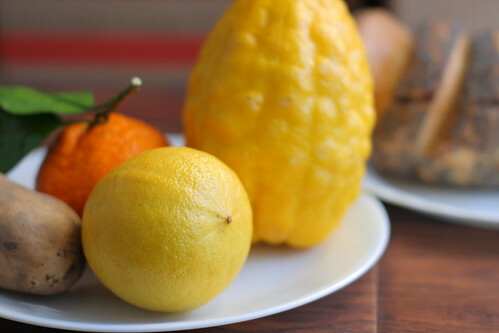 As with lemon, the oil is found in the fruit rind. 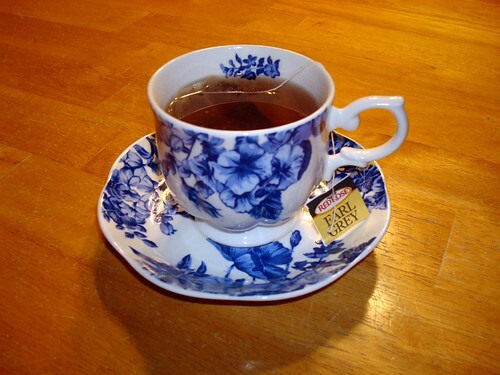 If you’ve ever sipped a cup of Earl Grey tea, you’ve inhaled bergamot, taken the infusion (covered steeping) or decoction (uncovered steeping) internally (drank the tea) and experienced its benefits firsthand. Bergamot is great for mental clarity, before/during/after rough days, party prep and, it is believed, inviting money into your life. While I dearly love tea, the bath is my treasured aromatherapy ritual. I draw the water, add a few drops of my favorite homemade blend of essential oils into the stream, sink in and draw the curtain for old-fashioned steam bath bliss. One aromatherapy book I love is Aromatherapy for Women by Maggie Tisserand. Blend your essential oils of choice with a base or carrier, such as unscented massage oil or liquid soap, shampoo or conditioner. Think of the essential oils as paints and the base or carrier as your canvas. For a liquid soap-type base, I prefer Sunshine Concentrate, because it can be used for makeup removal, soap and shampoo, cleans the tub or sink while it’s cleaning you (no residue), is safe for kids and pets, eco-friendly and a little goes quite a long way. I’ve yet to finish my first 32-oz. bottle. Using the funnel, add the essential oils, one at a time, and close their lids securely. (This little detail eliminates cross-contamination of oils and waste due to spills and evaporation.) Fill the blending bottle to its “shoulders” with Sunshine Concentrate. 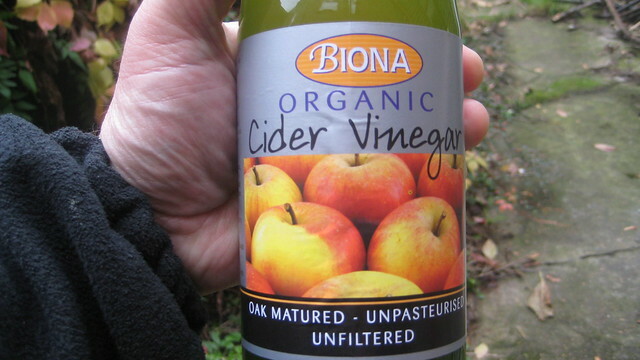 (This leaves space in the bottle for blending.) Remove the funnel, cap the amber bottle and shake or roll in your hands for a few minutes. Clean and dry the bottle exterior, apply a label and seal it with clear shipping tape. Store in a cool, dark place and out of the reach of children and pets. Add three to six drops of the bergamot bath blend to the bath, either under the stream or vigorously stir in to disperse the oils sufficiently. Saturate cotton ball in water. Add two drops bergamot bath blend to cotton ball. Apply cotton ball gently to remove makeup. Wet hands or rag with water. Add two drops of bergamot bath blend. Wash face. Rinse face and hands thoroughly with water. Join the discussion: What’s your favorite essential oil? Categories: Aromatherapy | Tags: amber bottles, aroma bath, aromatherapy, aromatherapy bath, aromatherapy book, aromatherapy bottles, Aromatherapy for Women, aromatherapy kits, aromatherapy oils, aromatherapy recipes, aromatherapy sets, aromatherapy supplies, bath, beauty, Belinda Hughes, bergamot, bergamot oil, essential oil blends, essential oils, fitness, geranium, geranium oil, health, home remedies, lavender, lavender oil, Maggie Tisserand, mandarin, mandarin oil, massage oil, natural health, Nature's Sunshine, NSP, organic aromatherapy oils, organic essential oils | Permalink.